Being a casino dealer is a very exciting and interesting job, but it can turn into a very painful and uncomfortable job in case you are not wearing the right pair of shoes. The fact is that casino dealers need to stay on their feet for a long period of time and that’s why they need specially designed casino shoes. Fortunately, some of the popular footwear brands have come up with special card dealer shoe models that can provide everything an experienced card dealer needs. Before we share the details and start talking about the best dealer shoes, we must point out the fact that casino shoes are different because they must provide comfort, but they also must look good. Casino employees like card dealers are following strict dressing codes and the shoes must match their outfit in general. In order to avoid back, hip, leg and of course, foot pain, you will need to look for the pair of shoes that will suit you the best. 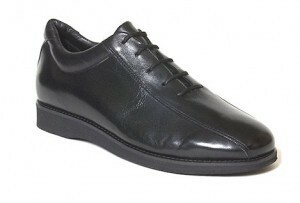 Dealers shoes come in different colors, but if you are like most people you will probably choose black shoes. So, if you need a pair of black shoes, don’t forget this model. This model is all about comfort and at the same time the comfort doesn’t comes at the expense of style. 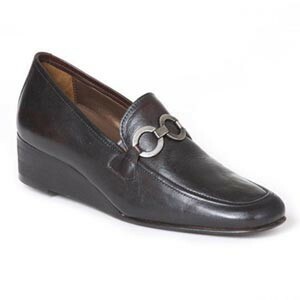 When we talk about style, we must mention that these Casino Dealer Men’s Black shoes were crafted in Italy, so we don’t have to talk much about their quality. They come with an extremely soft calf upper made of high-quality leather. The best part is the padding that provides prolonged comfort. They also have excellent absorption properties, so even if you are walking on different types of surfaces you probably won’t notice the difference. The heels are usually the part of the foot that suffers the most when you are working as a card dealer. This is the reason why the manufacturer has paid special attention to this part of the foot. They have used unique outsole that will relieve the pressure on the heel even if you are working on a very hard surface. Don’t be fooled by the thick carpets that are usually found in casinos. They create extra pressure on the heel. We should not forget that there are a growing number of women who are working as card dealers in the recent period. If you are one of them, you should look at this model of special casino shoes. Just like all other models from this manufacturer they were made in Italy by experienced craftsmen that had two things on their mind when they were designing these shoes – comfort and appearance. They have simple, yet elegant appearance and when it comes to comfort it seems that the designers have taken care of every piece of the shoe. 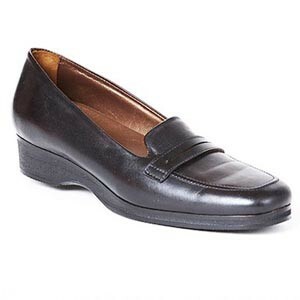 The outsole, sole and cushioning is ideal for dealers who are working for many hours. These casino shoes can also be used at conventions and trade shows. Who says that you can’t be trendy even if you are wearing shoes specially designed for work? These women’s platforms were built for serious female casino dealers. Their simplicity and minimalism is broken with a metal decorative element on front of the shoe. Even though we are talking about platforms, the sole eliminates the heel strike and eases the impact that comes from any type of surface. They are made from premium quality leather and they come in black color which means that you can easily combine them with any outfit.